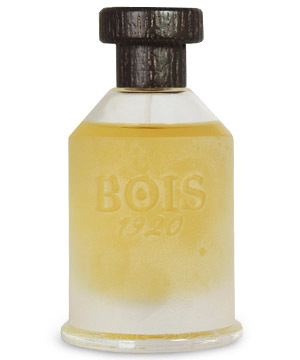 When Florentine perfumer Enzo Galardi entered the American market last year with his line of unisex fragrances, Bois 1920, I was going through a “niche-suspicious” phase. For the space of a few months, niche after niche seemed to be filling up, like the Brooklyn skyline, with new construction: mediocre, on-the-face-of-it modern, and expensive. So much of the market seemed not to take into account the glorious (modern) forebears that, in some cases, were being ripped off, if not completely ignored, as tried-and-true formulas were unveiled as new. But what was important here wasn’t the product, it was the creation of a customer – a person of early middle age with a modest income, with a taste for finer things and an allergy to the luxurious trappings of the previous generation. Among the new lines, two stood out immediately: Bois 1920 and By Kilian. Of the former, I was immediately impressed with Real Patchouly. For whatever reason, I didn’t give the others much attention. Jump ahead one year. Sushi Imperiale and Sutra Ylang stand out, too. They’re from two different ends of the universe: one a spiced gourmand, the other a sultry oriental. Sushi Imperiale, whose name put me off initially, seems cut from a similar cloth as Alexis Dadier’s Miroir des Vanités for Thierry Mugler. It has a sparkling, unusually pleasurable accord that brings to mind Italian bitters, the quinine edge of tonic-water cocktails, and the sweet spices of traditional eau de cologne formulas amped up to maximum decibelage. For the duration of its evolution on the skin, it straddles the bitter-sweet divide like a Russian gymnast on the pommel horse. The middle notes are drawn out impressively, while the base notes (mainly sandalwood and tonka bean) only become apparent after a few hours. Sushi Imperiale, as with Sutra Ylang, proves that the heart is where the home is: rose, star-anise (appealing to the wine lover in me), nutmeg, pepper and just a hint of jasmine absolute. Itadakimasu! I had a hankering for lemon today. I’d consumed quite a few of them, Meyer and otherwise, at the cabin last week. 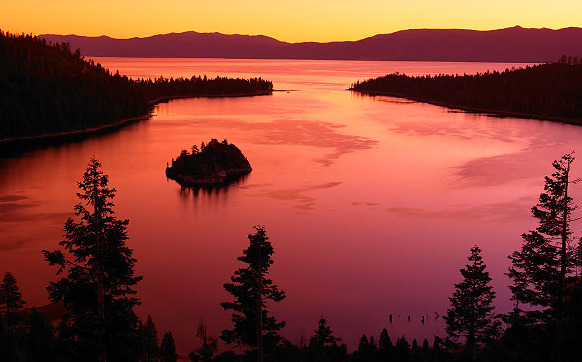 Each day, after hiking somewhere in Alpine County or the Desolation Wilderness, I would squeeze a couple into a tall drinking glass, fill it up with ice and water and top off with a few tablespoons of simple syrup. And so today, not having the time or the inclination to make my homemade limonata, I reached for my bottle of Allure Edition Blanche whose lemony heart and peppery top notes I knew would bring a smile to my lips. There isn’t, in recent memory at least, a mainstream men’s cologne that delights me as much as this one. It’s not a bergamot bomb. It doesn’t spray its machismo like the towel-clad “dudes” at my midtown gym. Nor does it try to do the niche thing. It just does what cologne is supposed to do: make you smell clean and potentially, haply, approachable. And it gives a really great drydown – Bourbon vetiver, tonka bean, white musk and cedarwood – for less than a hundred bucks a bottle. Sadly, it’s a limited edition and when it’s gone, it’s gone. Would that my friends at Chanel took Olivier Polge’s improvements here to heart and allied sophistication to the clean-fest of the other Allure pour Homme colognes. Vacation time. Hikes, morning- and late afternoon swims, birds, chipmunks, books and hopefully some good wine. See you all back on August 26 for more musings on the stuff in the bottle. Bon août!